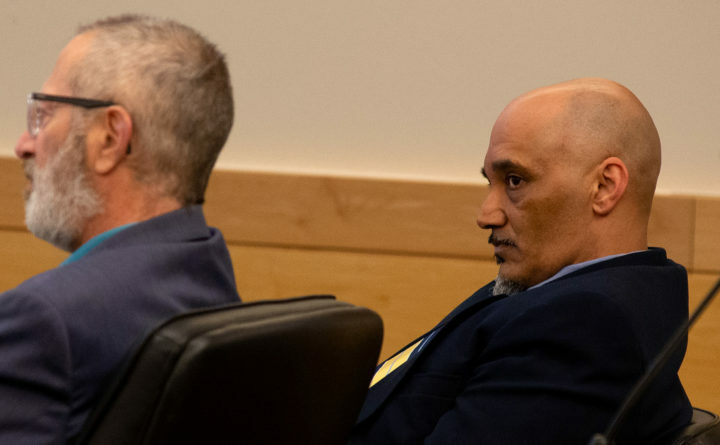 Tony Locklear called himself a monster when he made a statement during his sentencing before Justice William Anderson Wednesday at the Penobscot Judicial Center. 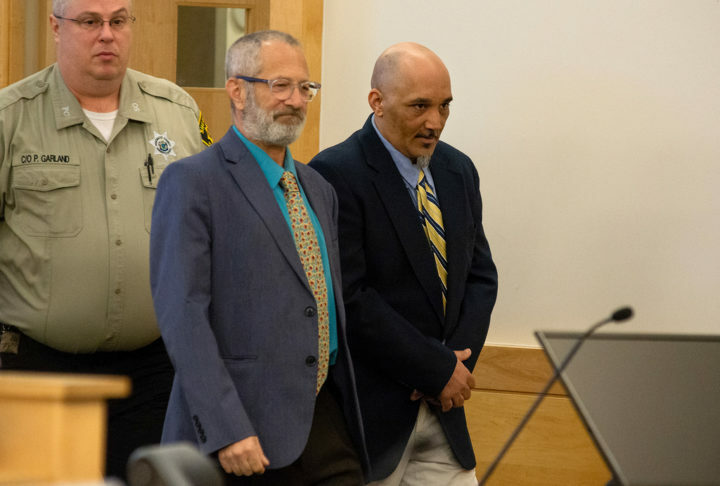 A Superior Court judge Wednesday sentenced a North Carolina man to life in prison but set his daughter free for their roles in a Millinocket home invasion that left a local businessman dead and seriously injured his wife. Tony Locklear, 44, asked to spend the rest of his life in prison for robbing and shooting Wayne Lapierre, 59, and his wife, 34-year-old Diem Lapierre (pronounced Yem), in the basement of their Massachusetts Avenue home on Dec. 19, 2017. Wayne Lapierre died of bullet wounds three days later in a Bangor hospital. Justice William Anderson said he imposed the life sentence because the crime was premeditated, Locklear intended to kill two people and Diem Lapierre endured conscious suffering before she was able to call for help. Tony Locklear pleaded guilty Jan. 8 to one count each of intentional or knowing murder, elevated aggravated assault and robbery. He did not have a plea agreement with prosecutors. Locklear’s daughter, 22-year-old Alexis Locklear of Maxton, North Carolina, was sentenced to time served — 375 days — for her limited role in the home invasion. She pleaded guilty in January to robbery and testified against her former boyfriend, 39-year-old Christopher Murray of Red Springs, North Carolina, at his jury trial. A charge of felony murder was dismissed. Alexis Locklear, 22, waits for Justice William Anderson to deliver her sentence on Wednesday at the Penobscot Judicial Center. Locklear was sentenced to 375 days served. An emotional Tony Locklear said that he deserved the life sentence. Tony Locklear enters the courtroom for his sentencing before Justice William Anderson Wednesday at the Penobscot Judicial Center. Locklear was sentenced to life in prison. Diem Lapierre’s survival after she was shot twice in the head made her “a walking, talking miracle,” prosecutors and defense attorneys have said. As a result of being shot, she lost her left eye and still has two bullets lodged in her brain, according to testimony at Murray’s trial. Murray was convicted Feb. 1 by a jury of the same crimes to which Tony Locklear pleaded guilty. Originally scheduled to be sentenced Wednesday, Murray’s sentencing was continued at his defense team’s request. A new date has not been set. Three of Wayne Lapierre’s siblings spoke Wednesday of how difficult his loss has been for the family. They urged Anderson to sentence Tony Locklear to prison for life and criticized prosecutors’ plea agreement with his daughter. 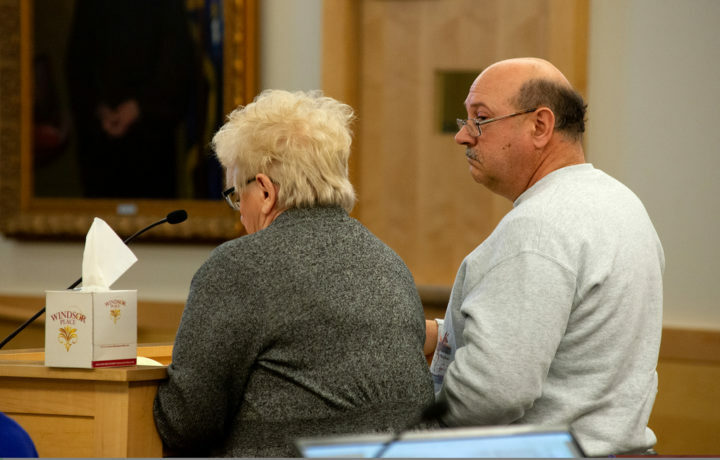 Carol Rogers and Pat Lapierre, sister-in-law and brother of Wayne Lapierre, read their victim impact statements during the sentencing of Tony Locklear. 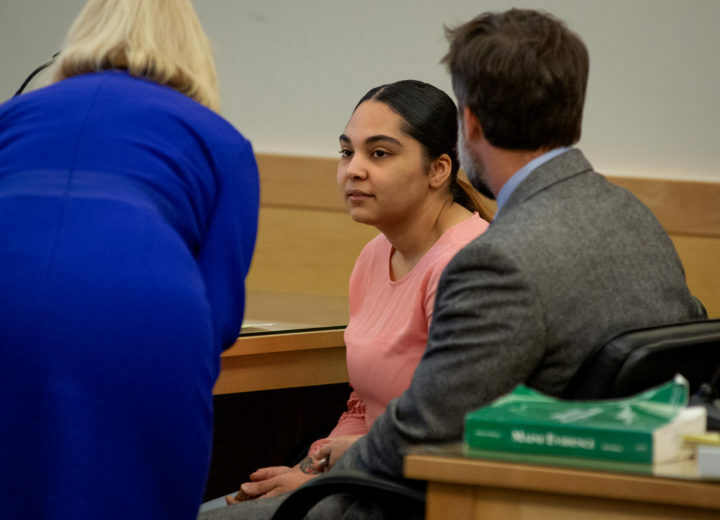 Alexis Locklear, who has no criminal history, apologized to the Lapierre family for “their pain and their loss.” She told the judge that she often thinks of the “what ifs” of what happened on Dec. 19, 2017, and called herself a coward for not trying to stop the robbery. Lapierre, one of nine children raised on an Aroostook County farm, was a licensed medical marijuana grower who also owned storage facilities, a plowing and excavation company, and other businesses in the Millinocket area, according to court documents. The state claimed that the men planned the assault and robbery believing that the Lapierres had a large amount of cash in the house. 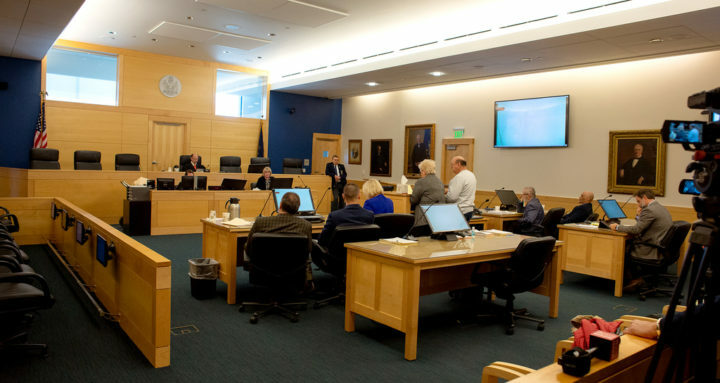 Murray’s defense team argued that Tony Locklear, who had previously worked for Wayne Lapierre, planned the assaults and robbery, and that Murray and Alexis Locklear were unaware of his plans. Tony Locklear's sentencing at the Penobscot Judicial Center. Diem Lapierre, a native of Vietnam, identified Murray as the man who shot her in the head as she sat next to her husband on the floor of the master bedroom in their basement. She recounted how Murray took her husband’s pillow from the bed, held it up and shot her through it. She fell over onto her husband and heard but did not see two shots fired at her husband. One of the men later shot her again, Diem Lapierre testified. She was unconscious for about 30 minutes, until “God brought me back,” she said. She was able to untie herself, crawl upstairs to the kitchen and call 911. The intruders left the Lapierre home with two 5-gallon buckets of marijuana, between $400 and $500 in cash, and the rings off Diem Lapierre’s fingers, the prosecution told jurors last month. Diem Lapierre testified that she met her husband in 2004 in Vietnam through an aunt, who owned a restaurant in northern Penobscot County. They became engaged and married in November 2006. She became an American citizen in 2011. Tony Locklear also faces murder and first-degree kidnapping charges in North Carolina in connection with the slaying of Braxton Chavis Jr. in Maxton on Dec. 4, 2017 — just 15 days before the Millinocket home invasion. He was arrested on the Maine charges in Alabama in early March 2018. When he will be returned to North Carolina to face the charges in that state has not been determined. The penalty in Maine for murder is 25 years to life in prison. The maximum penalty for aggravated assault and robbery is 30 years in prison.